This summer our big family project was the planning and construction of Vivi’s (my 4-year-old daughter’) tree/play house. The first thing Vivi wanted to do when it was finished was create a comfy reading nook so I turned to my trusty home decor store, At Home. 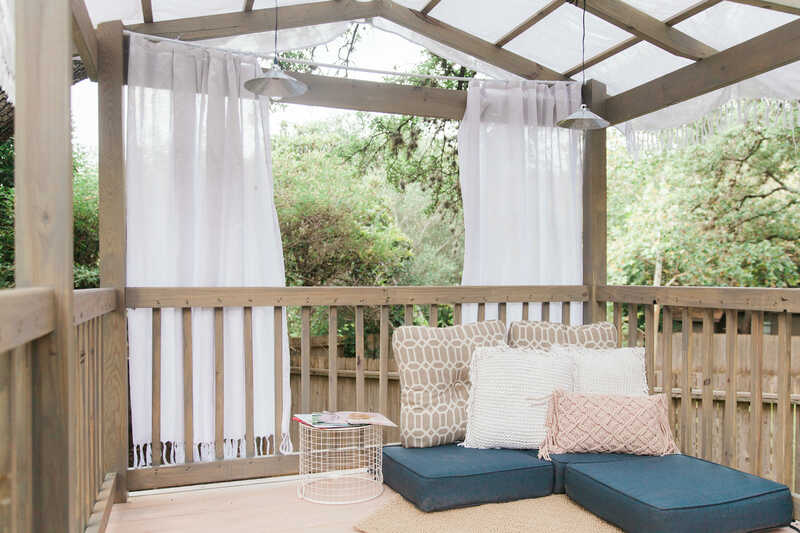 The weather has been hot, hot, hot – but if you’re going to be outside, it’s nice to be in a breezy tree house with a spot to read or play. 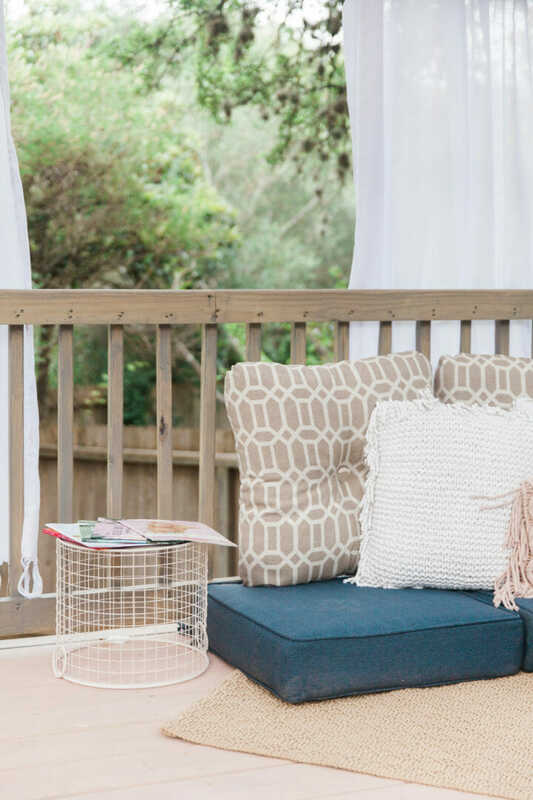 Here’s how we created the perfect tree house book nook. 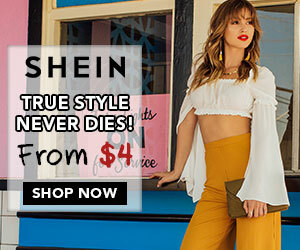 AND be sure to scroll below for an opportunity to win a $100 gift card to At Home! Starting with chair cushions and working up, we layered three Deep Seat Chair Cushions with two Back Cushions. Because of the lack of summer rain (or really big warning of a rare shower) we added three pretty indoor pillows. Even with all that cushion to sit on – it’s still nice to define the space with a rug just like in a real house. 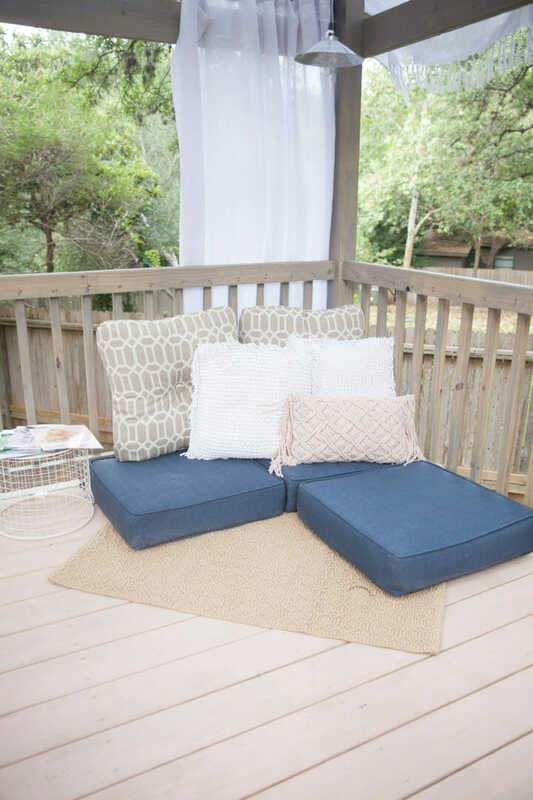 This indoor/outdoor rug was the perfect size to tuck under the cushions and make the corner nook its own destination. We weren’t sure about a roof on the playhouse. Texas summers are hot and I didn’t want to trap any heat – but shade was a necessity. These linen/poly blend shower curtains with fringe are machine washable, breezy and provide shade. 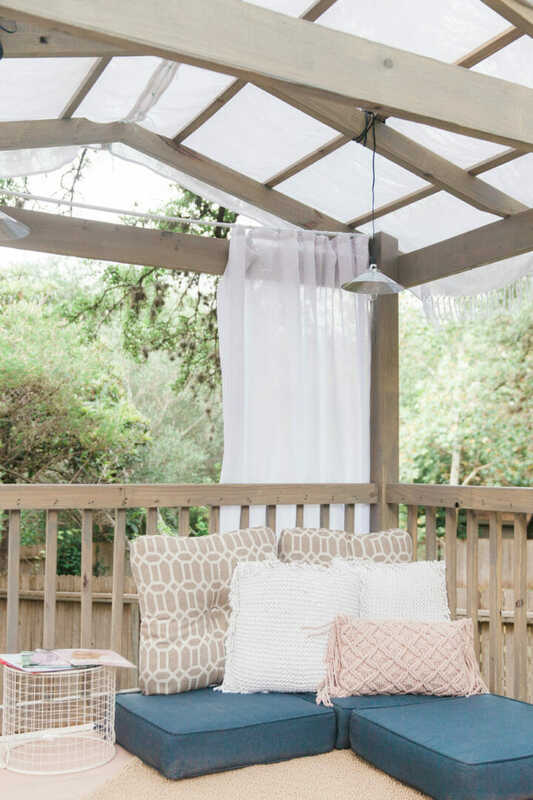 Two (simply tied together using the existing holes) for the top and two hanging from a tension rod in the back add a fun detail and the necessary shade to make play and reading comfortable. Probably not a necessity but a fun addition no less! 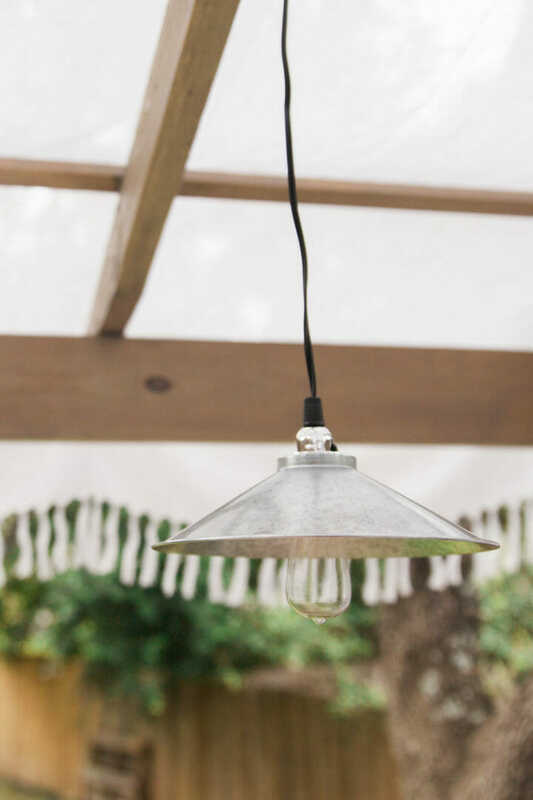 These outdoor hanging lights are battery operated and on an automatic timer. I set them to come on just before dusk and it’s so fun to play in the tree house with the lights on. We might have “sneaked” a few bedtime stories in the reading nook, as well! …and by using a light weight basket with a flat bottom, we get double duty! 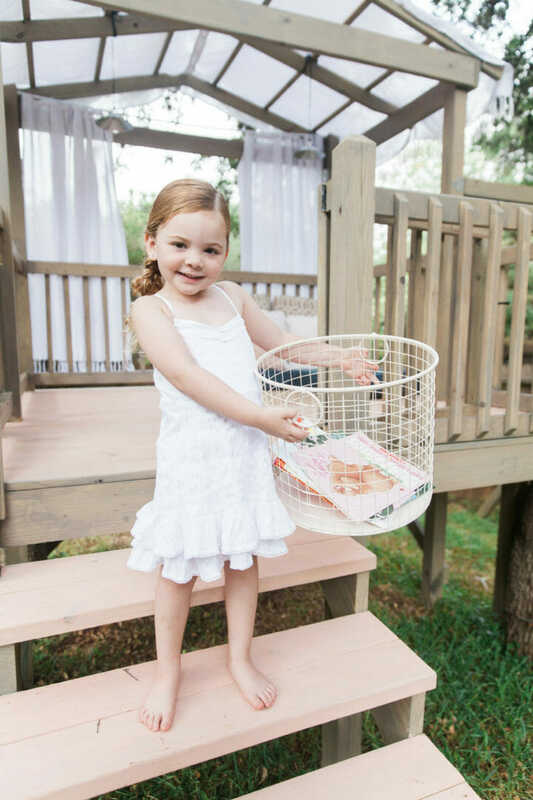 This white basket is perfect for carrying books, toys and in the fall … a blanket! 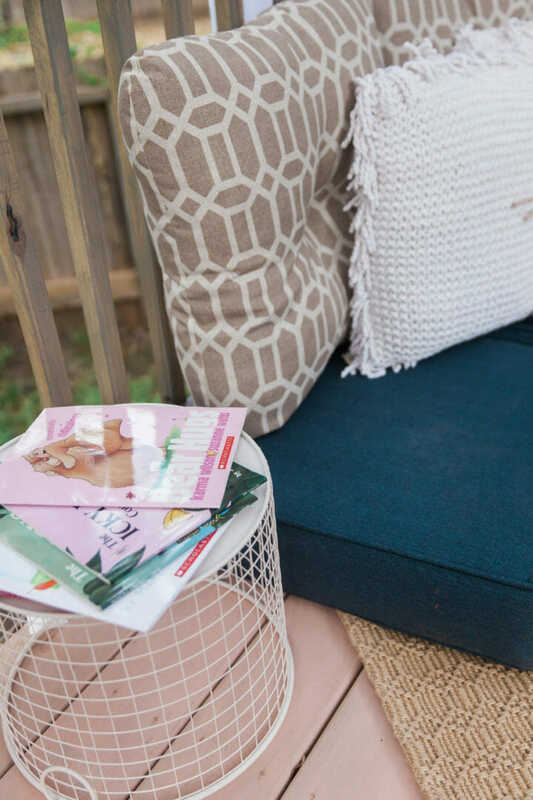 By using items creatively to design the playhouse reading nook, we were able to keep the project in budget and add some fun and whimsy as well as comfort to the final product. When shopping for home projects, be sure to think about different uses that will get the job done! At Home makes it easy to find everything you need for a any room under one roof. The sweet smell of linen blowing in the breeze adds a private secluded area to this beautiful patio. Imagine crawling up with a book on laid out pillows of different sizes and colors. This is a sweet and lovely way to spend quite time alone or with your significant other……. I am almost finished with ours. What a difference and a conversational piece. Oh how I just love this space! Because there weren’t places to note on the RC, I’m Jo on Pinterest, barkergirl38 on Instagram and barkergirl33 on YouTube.